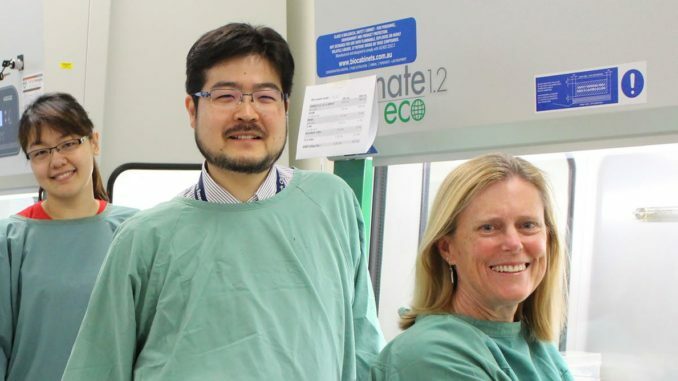 Melissa Little (right) and Minoru Takasato (centre) from the Murdoch Childrens Research Institute (MCRI). 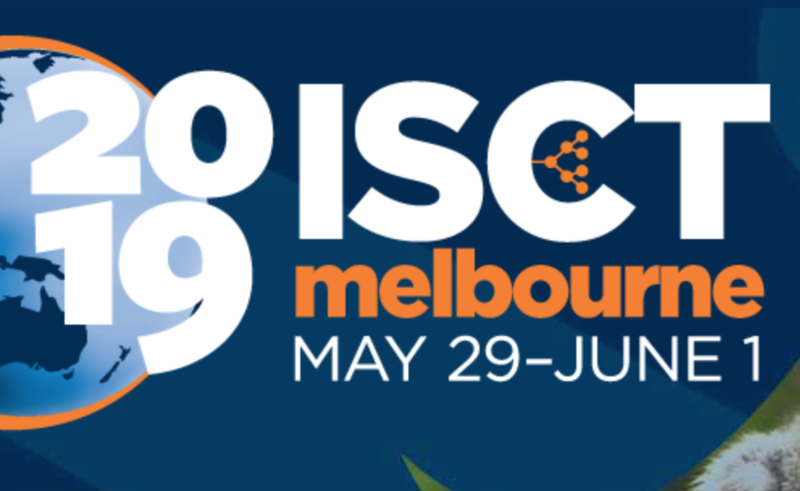 Researchers from the Murdoch Children’s Research Institute (MCRI), University of Melbourne and Leiden University Medical Centre (LUMC) in The Netherlands have made an important step towards making human kidneys from stem cells that they one day hope can be used to treat kidney disease. Credit: Murdoch Childrens Research Institute and Stem Cells Australia. 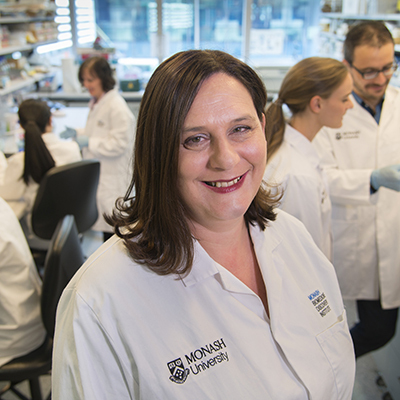 Professor Melissa Little is the Program Leader of Stem Cells Australia. Herald Sun “Kidney in Lab a Bit Closer“ – 2 March 2018. 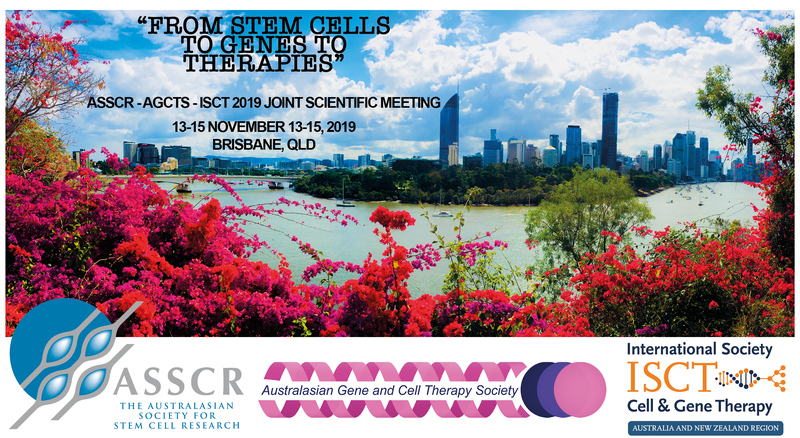 SBS News “Stem cell kidney gives hope to sufferers” – 3 March 2018. 7News “Stem Cell Kidneys” – 2 March 2018. 10 News “Stem cell breakthrough as scientists develop mini-kidney” – 2 March 2018.